James has been surrounded by chiropractic care and learning about chiropractic from a young age. The philosophy of chiropractic and natural health was a way of life, especially growing up in Christchurch. His passion for Chiropractic, nutrition and an active lifestyle began as a chiropractic kid and continues to grow everyday as he continually learns more. 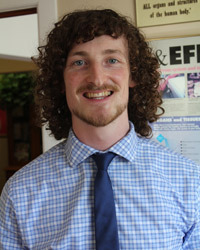 Before starting his Chiropractic degree at the New Zealand College of Chiropractic, James worked as a Chiropractic Assistant at Roughan Chiropractic to surround himself in the profession he so loved and felt passionate about pursuing. After completing his chiropractic studies in Auckland, James went on his OE travelling around Europe and North America. He is now incredibly excited to live again in Christchurch and settle down in the city that he loves. James is enthusiastic about being in Christchurch long term, being part of the exciting rebuild and serving the people of Christchurch who have felt the effects of the earthquakes on their health and wellbeing. Committed to sport and function, James has felt firsthand the effects and benefits chiropractic care has for athletes. 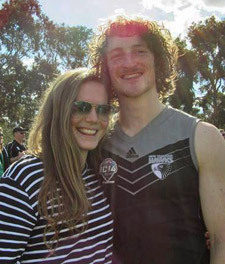 James has participated in sport his entire life mainly focusing on rugby, athletics and AFL; being selected for the New Zealand AFL team and playing internationally. Passionate about diet and nutrition and how food can have such a huge impact on our health, James loves learning something new each day and understanding the effects chemical imbalances can have on the body similar to how physical imbalances do. James is committed to looking at the ‘total person’ and the effect of physical, emotional and nutritional stress. James is now so proud to return to his roots, to be back in Christchurch, as a Chiropractor to serve our Christchurch community and meet all of you on your particular health journey. Dr James loves living back in Christchurch and spending time with his wife and their gorgeous daughters.